Through lightness and added power, the new Lotus Exige Sport 380 achieves a claimed top speed of 178 miles per hour, making it the fastest Exige ever produced. And it's mighty good-looking. The Exige Sport 380, announced Wednesday, weights just 2,447 pounds and pushes out 378 horsepower from its 3.5-liter supercharged V-6 motor. With either the manual or the automatic transmission, the 380 is capable of hitting 60 from a standstill in just 3.5 seconds, which for a road-going Lotus—and sports cars in general—is pretty damn good. Engineers were able to extract the extra power from the V-6 by using a new fuel pump, changing out the supercharger pulley, fitting a new exhaust, and reconfiguring the car's computer. “We’ve saved something special for our last new car of 2016," said Lotus CEO Jean-Marc Gales in a press release. "We have built upon the foundations of the excellent Exige Sport 350 and developed a perfectly proportioned, intuitive and attainable supercar for real roads...The Exige Sport 380 is so good, that it is no longer the best in class, it’s now in a class of its own." Well, Mr. Gales, it sure as hell sounds pretty decent on paper. 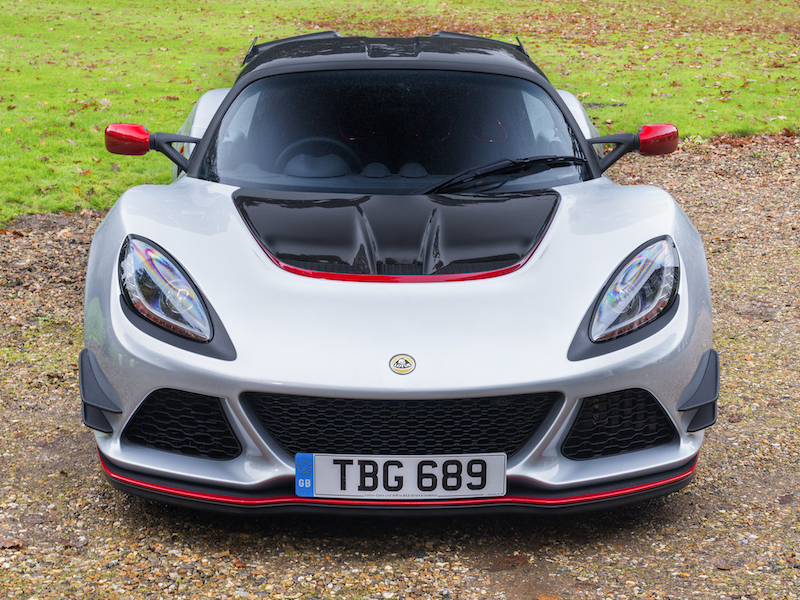 Lotus also said that it sent the Exige Sport to a place it calls the "Lightweight Laboratory"—which sounds like something straight out of some Weight Watchers-produced horror movie—to drop a few extra pounds from the British sports car. Engineers reconstructed the front splitter, dropped a new spoiler and diffuser on the rear, used a new polycarbonate rear window, and used new carbon race seats, a lithium ion battery, and new brake discs. Those things may all sound relatively small, but they apparently did some good for the 380. And while they were in there, Lotus's workers were even able to throw in a larger gas tank. Oh, and about that new spoiler and all the other new aero bits?The 380 creates more than 300 pounds of downforce at top speed, which comes as a 60 percent bump from the Exige Sport 350. So yeah, it's got plenty of grip. The Exige Sport 380 will not be making it to American shores, sadly. But for those in Europe, it's priced at £67,900 (which works out to $84,352 at current exchange rate).